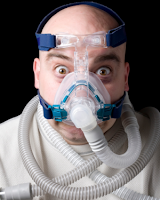 Another stab at assessing noninvasive ventilation in cardiogenic pulmonary oedema has been made by Italian researchers who compared CPAP with noninvasive pressure support ventilation (nPSV – similar to BiPAP) in a randomised trial of 80 patients. The primary outcome was endotracheal intubation rates. There was no significant difference between the two modalities. This result is in keeping with the much larger 3CPO trial. Immerse contaminated area in cool water until the bitumen has hardened and cooled. Adherent material may be left in place to avoid causing further injury by removal attempts, and will spontaneously detach after a few days. If a finger or limb is completely surrounded, split the bitumen to prevent a tourniquet effect. To remove bitumen, apply a lipid or polysorbate based agent and a clean non-adherent dressing. Suitable products include melted butter, sunflower oil, liquid paraffin, and petroleum or polysorbate based antibiotic ointments. Solvents such as alcohol, acetone, kerosene, ether or gasoline are not suitable. Change the dressing frequently, and reapply the product as necessary, until the bitumen is completely removed. This may take up to 72 hours. Treat as a thermal burn. – utilised in the manufacturing of methamphetamine. Contact with water releases sodium hydroxide and hydrogen gas. It is the heat released in the reaction with the water in air that then ignites locally produced hydrogen gas. Burns involving the metallic forms of sodium, potassium, and lithium (alkali metals) produce both thermal and chemical injury to the tissue. The thermal tissue damage is due to the extreme exothermic reaction that metallic sodium undergoes when exposed to water. At times, water, when mixed with either elemental sodium or potassium, undergoes an explosive reaction. Avoid water irrigation; if metal is still present in the tissues, the added water could ignite it. All clothing should first be removed from the victim. If retained metal exists, the affected area should be covered in mineral oil. Removal of embedded sodium should then be undertaken with forceps. Mineral oil is a practical, and potentially safer, alternative to isopropyl alcohol for the storage of elemental sodium. – a corrosive, oxidizing acid. After skin has been exposed to chromium, burns covering as little as 10% of body surface area (BSA) have proven fatal. Burns involving as little as 1% of total BSA have resulted in acute renal failure. Wash thoroughly with copious amounts of water and treat as a thermal burn. Prompt excision of burned, contaminated areas is recommended to prevent absorption of the chemical. – will ignite spontaneously in 30°C air temperature; typically stored in water. burns of > 10% can have associated mortality. Three stages of systemic toxicity exist: (1) gastrointestinal symptoms (nausea, vomiting and “smoking stool”). Symptoms of headache, seizures, and coma, as well as the potential for cardiovascular collapse, may occur in the initial phase. Decreasing serum calcium concentrations; (2) symptom-free period; (3) (4 to 8 days post-exposure) neurological toxicity, bleeding diathesis, hepatic failure, renal failure, and shock. Continuous coverage with water will protect both the patient and staff from ignition and fumes that result from white phosphorus’s contact with air. Brushing particulate not incorporated in wounds can accomplish a significant amount of decontamination. This brushing should be followed by continuous irrigation until all particles are removed. Those debriding and decontaminating an exposed patient should have a safe method of disposing of particles: a container of cold water would suffice. A way to identify phosphorous particles for removal is the use of a Wood’s lamp, which will cause the white phosphorous to fluoresce. Excision may be necessary to remove the chemical if deeply entrenched in fascia. Rescue personnel should use butyl rubber gloves and aprons, and conduct decontamination in a well-ventilated area. Any water applied must be applied in high pressure, as small amounts might dilute the phenol present on the skin and thus expand not only the involved area but also the amount of phenol absorbed. HF is highly corrosive and causes damage by two mechanisms. It produces a corrosive burn from the high concentration of hydrogen ions. It also penetrates tissues due to the lipophilic nature of fluoride, and causes liquefactive necrosis. Tissue penetration leads to systemic reactions with effects on the cardiac, respiratory, nervous, and gastrointestinal systems. The fluoride ion precipitates calcium, leading to hypocalcemia, and may interfere with enzyme systems by binding magnesium and manganese, as well as important nerve conduction functions that depend on calcium. Copious irrigation of HF-burned skin with water should begin immediately. Most HF burns will respond well to this. Pain that persists after irrigation is a marker that the fluoride ion needs detoxification. This can be accomplished through superficial topical treatment, infiltrative treatment, or intra-arterial treatment. The preferred topical agent is calcium gluconate gel. Special considerations in hazardous materials burns. A Canadian randomised controlled trial compared nebulised 3% saline with 0.9% saline in 81 infants under 2 years of age with bronchiolitis. The short-term use of nebulised 3% saline did not result in any statistically significant benefits, although a non-significant trend toward a decrease in hospital admission and improvement in respiratory distress was found. A larger study would be required to determine whether these trends arise from a clinically relevant treatment effect. There’s really not much that’s been shown to make a difference in this disease, as this review article reminds us. Effect of inhaled hypertonic saline on hospital admission rate in children with viral bronchiolitis: a randomized trial. Hospitals must have a major haemorrhage protocol in place and this should include clinical, laboratory and logistic responses. Immediate control of obvious bleeding is of paramount importance (pressure, tourniquet, haemostatic dressings). The major haemorrhage protocol must be mobilised immediately when a massive haemorrhage situation is declared. A fibrinogen < 1 g.l)1 or a prothrombin time (PT) and activated partial thromboplastin time (aPTT) of > 1.5 times normal represents established haemostatic failure and is predictive of microvascular bleeding. Early infusion of fresh frozen plasma (FFP; 15 ml.kg)1) should be used to prevent this occurring if a senior clinician anticipates a massive haemorrhage. Established coagulopathy will require more than 15 ml.kg)1 of FFP to correct. The most effective way to achieve fibrinogen replacement rapidly is by giving fibrinogen concentrate or cryoprecipitate if fibrinogen is unavailable. 1:1:1 red cell:FFP:platelet regimens, as used by the military, are reserved for the most severely traumatised patients. A minimum target platelet count of 75 · 109.l)1 is appropriate in this clinical situation. Group-specific blood can be issued without performing an antibody screen because patients will have minimal circulating antibodies. O negative blood should only be used if blood is needed immediately. In hospitals where the need to treat massive haemorrhage is frequent, the use of locally developed shock packs may be helpful. Standard venous thromboprophylaxis should be commenced as soon as possible after haemostasis has been secured as patients develop a prothrombotic state following massive haemorrhage. Two studies this month report a correlation between ultrasound detected aorta/IVC ratio and dehydration in children presenting with diarrhoea and/or vomiting. In both studies the IVC diameter was measured in expiration and the aortic diameter in systole, using a transverse view in the subxiphoid area. Both used acute and post-discharge weight comparison to ascertain degree of dehydration. The first study took place in Rwanda and a percent weight change between admission and discharge of greater than 10% was considered the criterion standard for severe dehydration. 52 children were included ranging in age from 1 month to 10 year. Vessel diameter measurements were inner wall to inner wall. The IVC-to-aorta ratio correlated significantly with percent weight change (r = 0.435, p < 0.001). Using the best ROC curve cutoff of 1.22, aorta/IVC ratio had a sensitivity of 93% (95% CI = 81% to 100%), specificity of 59% (95% CI = 44% to 75%), LR+ of 2.3 (95%CI=1.5to3.5), and LR– of 0.11 (95%CI=0.02to 0.76) for detecting severe dehydration. The same study did not find ultrasound assessment of inferior vena cava inspiratory collapse or the World Health Organization scale to be accurate predictors of severe dehydration in this same population of children. The second study took place in the USA. The subjects were considered to have significant dehydration if the weight loss was at least 5%. 71 were children were included. The area under the curve (AUC) was 0.73 (95% CI = 0.61 to 0.84). An IVC ⁄ aorta cutoff of 0.8 produced a sensitivity of 86% and a specificity of 56% for the diagnosis of significant dehydration. The positive predictive value was 56%, and the negative predictive value was 86%. Note this equates to an aorta/IVC ratio of 1.25, similar to that in the first study. My rough-and-ready take home message from these two studies appears to be that an aorta/IVC ratio less than about 1.2 makes severe dehydration less likely in children with symptoms of gastroenteritis. A case report describes the echo findings of a patient with a traumatic left sided pneumothorax. Although the subcostal view was unremarkable, upon imaging the parasternal region, the sonographer noted a flickering phenomenon where the heart was clearly visualized in late diastole, but would disappear in mid- systole only to reappear in late diastole during the next cardiac cycle. This ‘‘heart point’’ sign occurs because as the heart fills with blood in diastole, it enlarges and displaces the air from the precardiac space, allowing the heart to transiently contact the chest wall and be visualized with US. As the heart contracts during systole, the pneumothorax fills the space between the heart and the anterior chest wall, preventing the transmission of US and causing the heart to momentarily disappear from view.